Nakamura was a former Minister of War who was given command of Korea Army in July 1938, just as the Changkufeng Incident in the Korea-Manchuria-Russia border area flared up. Nakamura was careful to localize the subsequent fighting, but was unable to expel the Russians from the disputed territory. 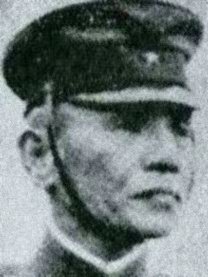 Nakamura was still in command of Korea Army when war broke out in the Pacific. He took command of Eastern District Army very shortly thereafter. He retired in 1943, becoming president of the Military Defense Institute in 1945.